One of the UK's leading printing companies, Healeys combine new technology and innovation with a collaborative approach that ensures clients receive a great service and quality printed communications. To care for each other, our clients, our suppliers and the wider community. The best outcome for clients, create improved ways of working and create a great work environment. To help and advise, to work together with clients, to achieve maximum results for all associated with the business. Customers range from award-winning creative agencies, national charities, London fine art galleries, colleges and schools through to international and local businesses. Widely-regarded as a frontrunner of new technology and innovation, the Company continues to invest in the very latest equipment to provide customers with print effects and finishes to make their marketing literature truly stand out from the crowd while web-to-print software enables online ordering, stock management and digital (marketing) campaign integration. Thank you for visiting the Healeys website – We are committed to helping clients achieve great results through applying innovation and service. If I can help in any way or if you have any comment to help us serve you better please let me know. The environment and the impact of our operation are high on our agenda. Policies put in place mean that Healeys are one of only ten printers in the UK to be recognized as a carbon balanced printer by the World Land Trust and are also members of the Carbon Capture programme administered via The Woodland Trust. to partner with Healeys, confident in the knowledge that they are following environmental best practice. Creating and maintaining efficient management systems and processes that reassure customers that their orders are being processed in a professional manner. This externally assessed certification demonstrates the company’s commitment in having an environmental policy and management system that meets regulatory conformance. Requested by many customers, FSC certification ensures that paper products come from well managed forests that provide environmental, social and economic benefits. Chain of custody certification applies to manufacturers, processors and traders of FSC certified forest products. 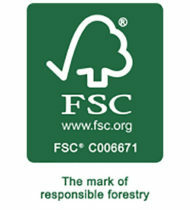 It verifies FSC certified forest products along the production chain. At each stage in the chain of processing and transformation, chain of custody certification is needed to confirm that FSC certified wood products are kept separate from uncertified products, or mixed in approved ways. Put simply, it is where the average carbon impact for paper production has been balanced, or offset, by the World Land Trust – an international conservation charity – through the preservation of high conservation forests, saving threatened habitats and their biodiversity. Sir David Attenborough OM, CH, FRS is among its Patrons. Healeys are a certified carbon-balanced printer and carbon offset calculations/achievements can be provide to customers for individual print projects or for total orders over a defined period. 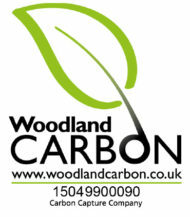 Certificates are printed and presented in recognition of carbon balancing. This scheme offers customers the opportunity to capture the CO2 emissions from paper used for their literature by planting native woodland, right here in the UK. Due to continued growth Healeys Printers have an exciting opportunity for a Graphic Designer to join our dynamic team. Working closely with Sales and Customer Service Teams, and forming part of our Repro department, the successful candidate will be expected to interpret detailed design briefs in an accurate and timely manner. Proficient in all modern design applications the candidate will be able to illustrate a proven ability and a comprehensive understanding of the printing industry today. Experience of pre-press workflow’s including Heidelberg Prinect will be advantageous. If you feel you have the credentials to fill this position please write or email to Hayley Thrower [email protected] H.R. Manager at Healeys Printers enclosing a copy of your latest C.V. The company has grown significantly since its humble beginnings. Healey’s was originally a small, family business which was purchased by the current MD’s father in 1962. The company back then comprised of a Post Office, stationery business and one broken duplicator. During this time, growth was steady, however the ambitions weren’t the same as today. A major time for the business was in 1971, when the current MD, Philip Dodd, joined the company after working for 3 years at Marks and Spencer. Philip was committed to developing the business and was, and still is, an early adopter of new technology and printing services, which rapidly grew in the forthcoming years. After the unfortunate death of his father, Philip took over the company in 1981, with the business now gaining a reputation as one of the leading commercial printers in the region. By 1992, the company had evolved and moved into a new factory which boasted the company’s first four colour press and was later the site of the world’s first B3 8 Colour Perfector and the first Anicolor Press in the UK. During this period, Philip also took the decision to sell the Post Office and stationery side of the business to concentrate efforts on Litho’ and digital print. Following further growth, in 2001 a new factory was purchased, which we still operate from today. In more recent years, we have seen huge growth, and sales of print are now more in a day than during our entire first years of trading. We also employ 37 highly skilled employees who work together to deliver an exceptional range of commercial print services. As a business, we are committed to continue to provide a marketing-orientated service and an extensive range of litho, digital and wide format print services to companies, NGO’s, individuals and educational establishments both in the UK and internationally.